This product was created with the modern producer's various needs in mind. All loops are set at 128 BPM; Electro's most versatile and usable tempo, allowing for endless mixing and matching between every kit. Also Included in each construction kit are drum tracks and drum hit folders. The "drum tracks" folder contains all the different elements of each drum loop (snare, kick, hi-hat, etc.) in its own separate loop. This allows for maximum flexibility and control over every sound. 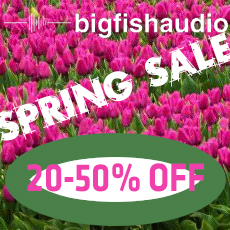 This product is part of Big Fish Audio's KLI series, which includes a custom Kontakt interface. The Kontakt format features patches of each loop. Customize each loop with the "sliced loops" patches. The Sliced Loop patches lay out each individual slice of a loop across the keyboard, making it easy to create new and original custom parts. You will also find "Instrument Set" patches where each group of instruments has been given their own instrument to quickly find the exact part to fit your needs. For example all the synths from the whole product can be found in the patch called "Synths.nki". There are also "Drum Tracks and Hits" patches that contain every drum track and drum hit from each kit. The KLI version of this product comes in both Kontakt 4 and Kontakt 5 versions. For those with the full version of Kontakt 5, take advantage of the new high quality and extremely flexible time stretching algorithm as well as a bunch of new included FX. Drums, Bass, Pianos, Synths, Strings & FX.